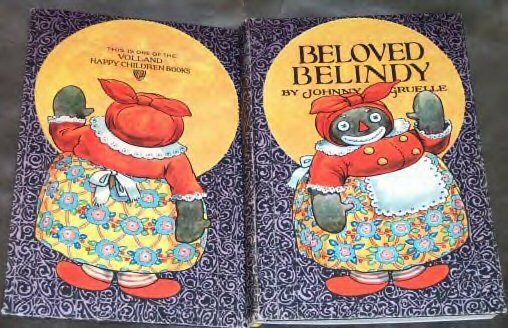 the Beloved Belindy character doll as a tie-in to his forthcoming book bearing the same name. The P.F. 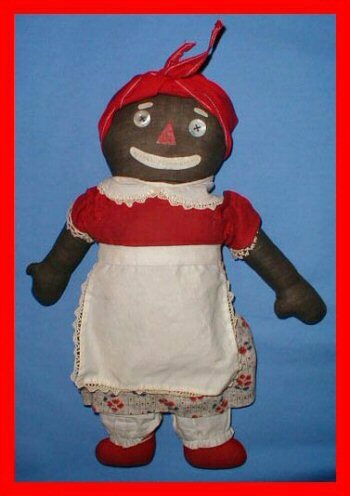 Volland Company's first Beloved Belindy doll was 15" tall. solid red shoes & bandana, with side facing feet. the skirt was made in a variety of floral fabric. She wore straight white pantaloons and an oblong shaped apron. Her white collar, sleeves and apron were trimmed with matching lace trim. She was produced from 1926-1933.
. 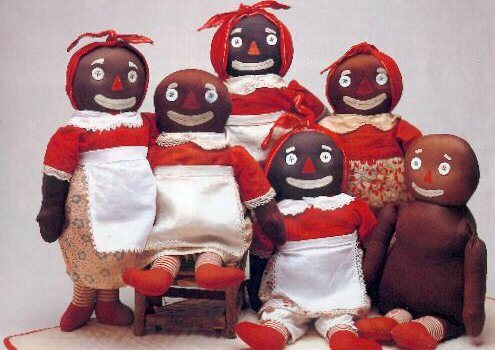 In 1928 Volland advertised an "Oversized" 30" to 36" Beloved Belindy doll, but none are documented. 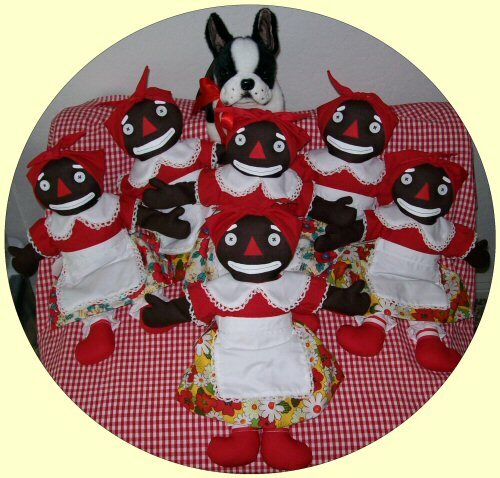 To learn more about "BELOVED BELINDY" the character and Belindy dolls created by other manufacturers......please click on the"Beloved Belindy" link in the left column of this page. Here are a few of MY OWN re-creations of the "Volland "inspired" Beloved Belindy" . 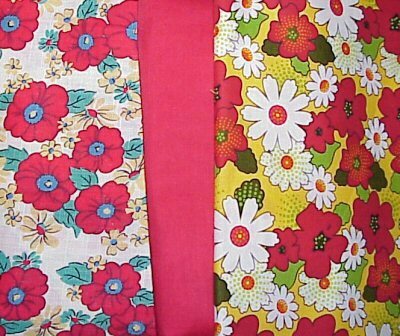 I have chosen two "reproduction" fabrics for the skirt of her dress. Be sure to chose YOUR favorite, when you order your own ! !